Gerhard Hofland is proud to present the exhibition ZIRKEL, featuring a series of new and monumental works by German artist Robert Seidel. 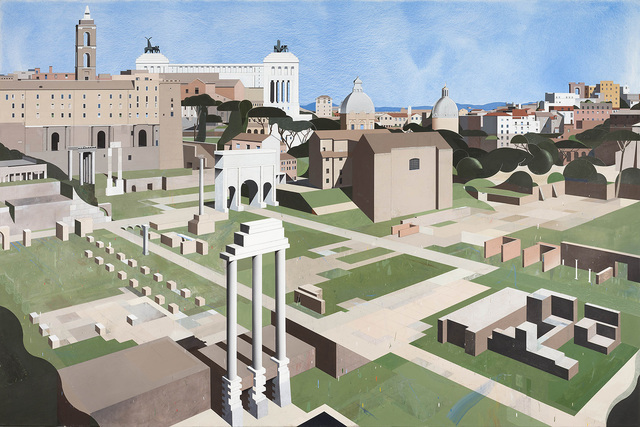 The paintings of Robert Seidel can be regarded as a well-balanced mix between the Leipziger tradition (visible both in his analytical style and his choice of subjects), a classical technique in egg tempera, and the creation of a visual language that is both stylistically and thematically particular to the subjective perspective of the artist. Where it is the former that makes it well possible to see in Seidel a true exponent of the traditions of his (professional) environment, the latter elevates Seidel into a unique and extraordinary contemporary painter. The examination of his surroundings is inherently connected to the way Seidel paints. Methods of deconstruction are applied in a wide variety in order to dissect the artist’s subjects. Vast structures are taken out of context entirely, and are painted as hardly more than graphic shapes. On the other hand it is the combination of this formal abstraction and the accurate way in which Seidel focusses on small details that always provides his paintings with an informal liveliness. Therefore, his paintings are not meant to be seen as great statements on culture, art or painting, but rather depict precisely the way in which the artist attempts to render his surroundings comprehensible for him and the spectator. 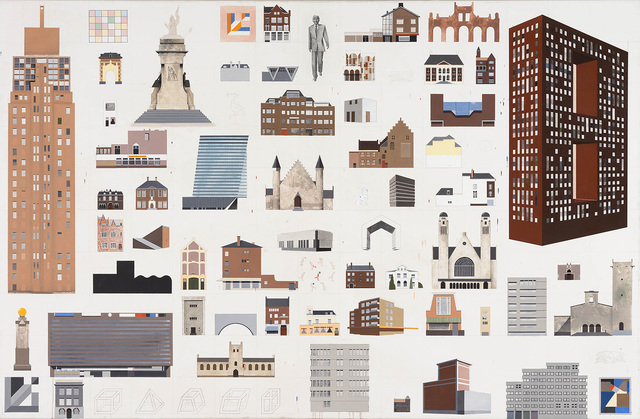 Specifically for Zirkel, Seidel returns to his fascination for architecture. Taking on monumental painting both in subject and size, Seidel brings out his renowned mix of graphic abstraction and organic figuration, and never fails to recontextualize the everyday in order to reveal his wonderful perspective on the world. Robert Seidel (1983, Grimma, Germany) lives and works in Leipzig, and studied painting at HGB Leipzig under the mastership of Neo Rauch. In 2013, Seidel took part in the residency-programme of De Ateliers Amsterdam, and was recently awarded a Stipend from the Künstlerhaus Lukas in Ahrenshoop.